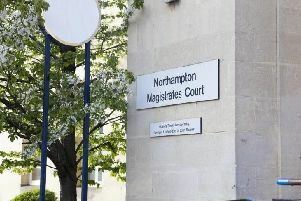 A former business manager at a Northampton primary school is selling her house to pay back £42,000 she gained from theft and false accounting. Janet Wheeler, aged 52, of Chatsworth Avenue, Goldenash, Northampton, was given a suspended jail sentence after she admitted two counts of theft and one of false accounting at Northampton Crown Court last October. The court heard that Wheeler stole £20,000 from Simon de Senlis Primary School in Northampton after she removed cheques, created duplicate invoices and falsified documents and spreadsheets. She also took more than £1,100 of petty cash from a school bank account. The charges relate to a period between March 1, 2009, and December 7, 2012, when Wheeler was employed as business manager at the school. At a proceeds of crime hearing at Northampton Crown Court on Tuesday, the court heard that the total criminal benefit to Wheeler had been calculated as £42,000. Wheeler’s assets, which include the equity in a house, were stated as £48,169. His Honour Judge Timothy Smith ordered Wheeler to pay £42,000 within six months, of which, £25,074 will go to Northamptonshire County Council.